We can all admit, here and now, that Prosper is a great place to live. From our successful high school sports teams to our academics, this community thrives. The unfortunate part of having such a great high school presence, however, is sometimes lice can accumulate in the schools. This can mean your child or teenager may bring nits or lice home. For Prosper lice treatment, consult the team at Lice Lifters DFW. The Lice Lifters DFW story is similar to a lot of Prosper stories. It started small and grew into a success. Our founders once dealt with lice in their own families, and so they know how this can negatively impact the community. Their story means they take Prosper lice treatment seriously. It is not just a job, but it helps families get back to their everyday lives. Children who have never fully experienced a lice infestation may be unaware of the discomfort that stems from an itchy scalp. Once lice find their way to your child’s hair, they are tough to get rid of. Kids may not fully understand the situation, either. Still, no child should fear head lice treatment in Prosper. There are no shots, no gross medications, and no all-white uniforms that take away the personality of those helping your child. At Lice Lifters, we’ve built a friendly environment for everyone, kids included. Furthermore, our lice treatment solutions are non-toxic. You won’t find any pesticides or icky medications that increase the itch in our products. We begin with a simple head check to determine the state of the infestation. From there, we move to a thorough comb-out to remove as many nits as possible. At the end, we apply our efficient, all-natural killing agent. Your child will be lice-free in just one treatment! Head lice typically spread throughout schools in the area. As children come together to play and learn, they have no reservations about sharing their hair care items or clothing, such as hats and scarves. It takes just one incident for an infestation to spread. Once a child has head lice, they typically bring it home to their family, where it spreads further. From there, it’s a snowball effect throughout the town, as head lice can spread very quickly. First and foremost, the school nurse should send home a notice, stating head lice are spreading through the school. Then, you may take action. However, the moment you notice the telltale itch and slight movement amongst hair follicles, give us a call. Your head lice infestation is just another day at the office for our team. 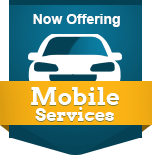 We’ll provide you with a solution that is guaranteed to work. One quick treatment. Done. Guaranteed! Discovering you have lice puts you in a tricky situation. There is a stigma surrounding head lice. People think that you must have dirty hair to have head lice, or that they will catch lice by being too close. Therefore, you likely want a quick fix – but we urge you to avoid visiting the local drugstore or supermarket, however. The products being sold on shelves today are loaded with chemicals, which are harmful to your scalp. And most still fail to kill the head lice infestation, in any case. 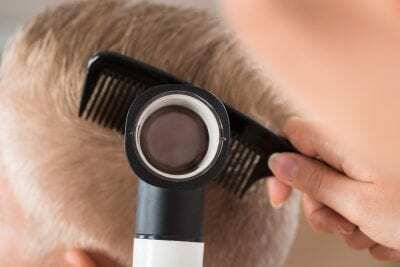 Head Check – We begin with a thorough head check to locate head lice and better understand the extent of the infestation. Comb Out – Using a micro-grooved comb, we meticulously remove nits and lice from the hair follicles. All-Natural Killing Agent – Our all-natural, non-toxic killing agent contains zero pesticides, and is designed to rid your scalp of head lice! Most of us want a permanent solution to head lice. Those little pests are troublesome, and they itch like no other. When a head lice infestation spreads through your home, whether due to a child’s classmate or someone in the office, you likely want a solution. Most parents, like yourself, may turn to the drugstore for an over-the-counter option. We urge you to avoid such medications, however. They typically fail to solve the problem, and most contain harmful chemicals and pesticides which cause skin irritations. Don’t fight your current itch with a worse itch. At Lice Lifters, we have designed a treatment plan that truly works. It has been tried and tested throughout the years, and we’ve found that with the right combination of skill and medication, we can rid your scalp of head lice once and for all. Schedule an appointment today and be done with head lice. One quick treatment. Done. Guaranteed! The Lice Lifters DFW Treatment Center in Frisco is your best option for Prosper lice treatment. Just a short drive to the Frisco area will be worth it in the long run. After visiting our center, we make sure you go home with proper follow-up care. The entire process followed exactly, can make your family a lice-free one.